Extend your home naturally into the garden! 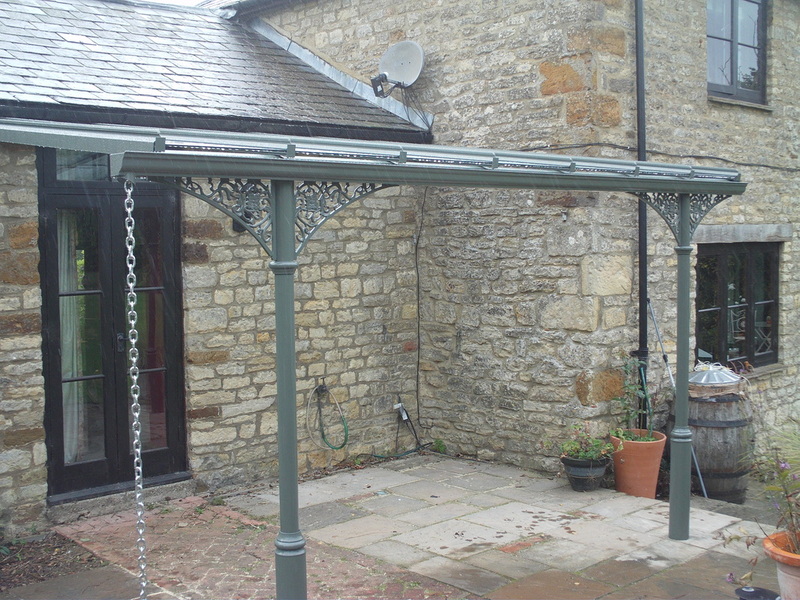 We supply and install aluminium powder coated verandas featuring toughened glass. 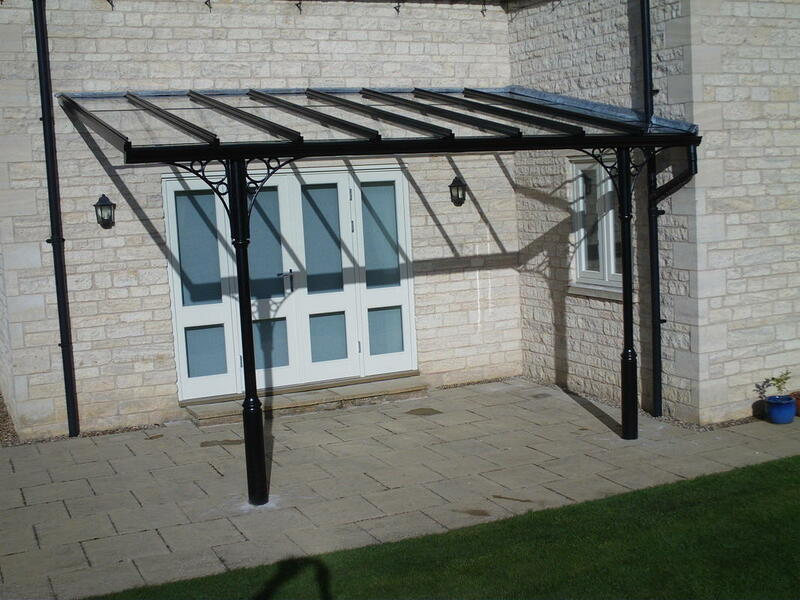 This makes for a really weather proof and luxury veranda. 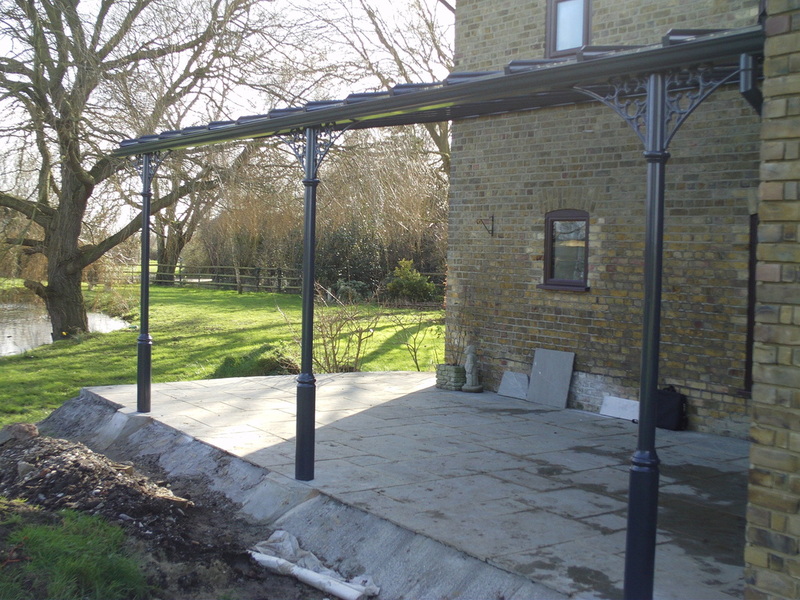 The aluminium structure will last for hundreds of years without rusting, The toughened glass will keep the rain off your patio and enhance the view of your home from the garden. This new design incorporating our Summer Fruits corner spandrel really compliments the traditional stone house where it is installed. The grey green colour blends beautifully with the weathered building and the garden offering a wonderful dry area for entertaining.